Home » design work » fabric » Outside Oslo is available laminated! Outside Oslo is available laminated! Ooo, shiny. My entire home dec line for The Needle Shop now comes in a laminated version. 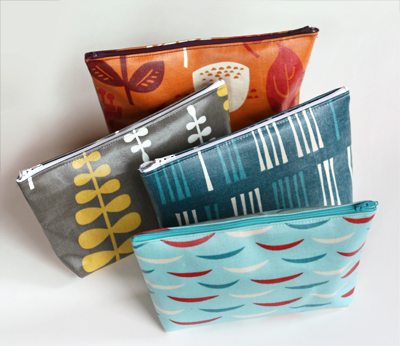 Look at these makeup bags made by Rachel Epperson, the shop's owner. 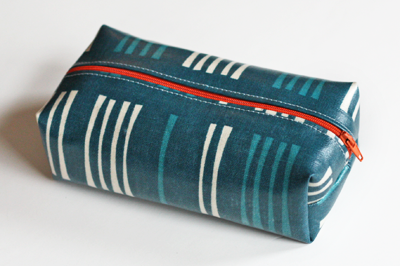 And how about this plump little boxy pouch? This stuff is perfect for wipeable placemats, seat covers, play mats, and designer Slip 'N Slides. If you need a Christmas present for a sewist, consider a laminated fat quarter bundle and a copy of Sewing With Oilcloth. 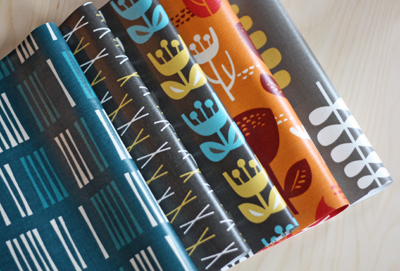 Online in Rachel's new Outside Oslo shop — Get fabric (both laminated and regular), as well as products made from the stuff. Totes, pillows, coin purses, placemats, and more. Any of the products can be made in the fabric of your choice. At the Chicago Renegade Holiday Fair this weekend — Ms. Epperson will man a booth full of fabric and products so you can stock up on Christmas presents. I'm planning to hang around for a bit on Saturday and drool on her merchandise. Stop by and say hi! 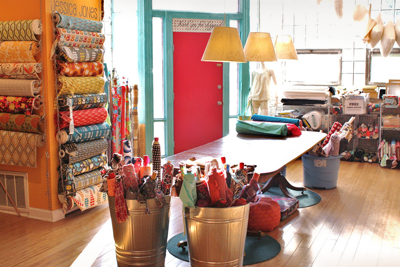 At The Needle Shop store — Chicagoans, get hip fabrics, patterns, and sewing notions here. Or visit the online shop. You have read this article design work / fabric with the title Outside Oslo is available laminated!. You can bookmark this page URL http://jenkrebs.blogspot.com/2011/11/outside-oslo-is-available-laminated.html. Thanks! No comment for "Outside Oslo is available laminated!"